Let’s face it, holiday decorations are too beautiful to be put away just because Christmas is over. If you’re desperately longing to use your string lights all year but don’t want strange looks from the neighbors, check out these 5 alternative uses for your string lights that take 5 minutes or less. Can also be used as a canopy above the bed. Spruce up your bedroom with this easy lighted headboard. You’ll need a curtain rod, shear curtains, plastic hooks, and your string lights. First hang the curtain rod and use it as a guide to make sure the lights hang behind the curtain. Then use the hooks to drape the lights so they’re hanging but not tangled. Take down the curtain rod to add the curtains and rehang the rod. Arrange the curtains as desired and you’re done! Flip on the lights, lie back, and enjoy. Have a lamp with a boring shade? Not a problem. Wrap the shade with string lights and run the cord down behind it. Use a paperclip at the top and bottom of the shade to help hold the light string in place. And just like that, your boring lamp will look better than new. If you have a spare glass jar, it’s really easy to turn it into a night light. Simply place the jar on a shelf, counter, or nightstand that has a nearby outlet and stuff the jar with your string lights. Then just plug them in. You can also use battery operated string lights if you don’t mind seeing the battery pack in with the lights. 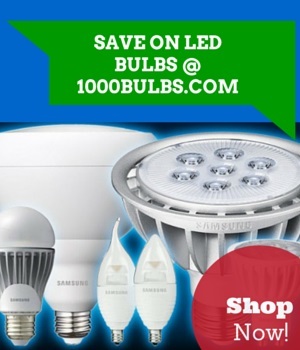 Using LED mini lights will put off less heat than incandescents. To make this chandelier, you’ll need a hula hoop, plenty of ribbon, a hook, and icicle string lights. Wrap your ribbon around the hula hoop until it’s no longer visible You may want to use a hot glue gun to attach it. Next, tie the ribbon on opposite sides of the hoop to make the mount (think wagon wheel spokes). Then loosely wrap your string lights around the hoop. And you’re ready to hang your chandelier in your dining room or on your patio deck. This last DIY is a creative way to display photos. Just use push pins to attach your lights to any wall in a zigzag pattern and use clothes pins to hang photos of family and friends between the bulbs. It’s perfect for dorm rooms and could also be used as a headboard. How are you using your string lights now that Christmas has past? Share your ideas and pictures with us on Facebook, Twitter, Google+, or Pinterest.